Da Capo Press, 9780306821936, 320pp. 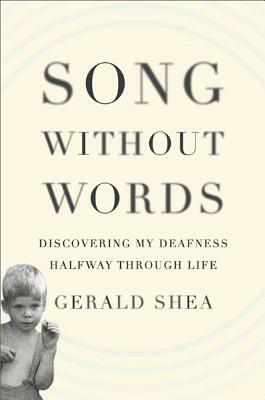 Gerald Shea's witty and candid memoir of how he compensated for his deafness--through sheer determination and an amazing ability to translate the melody of vowels. His experience gives fascinating new insight into the nature and significance of language, the meaning of deafness, the fierce controversy between advocates of signing and of oral education, and the longing for full communication that unites us all. Gerald Shea was born in New York City and has lived most of his life in New York and in Paris. He practiced law in both cities for many years with Debevoise & Plimpton as a member of the New York and Paris bars. He is a graduate of Phillips Academy in Andover, Massachusetts, Yale University and Columbia Law School.